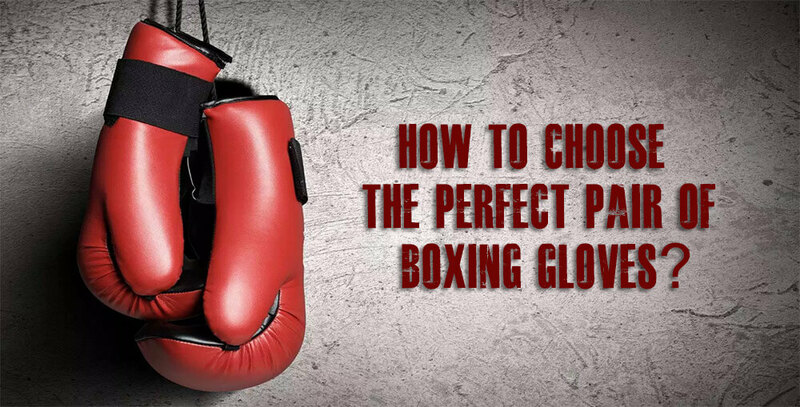 How to Choose the Perfect Pair of Boxing Gloves? With the boom in combat-based fitness training and even 'white collar boxing' there’s never been a better time to discover just what the best boxing glove is. High impact sports, like boxing, test more than your stamina, coordination, and skill. The punches you throw at either your opponent or training equipment test your gloves, so investing in boxing equipment is a smart move. Sure, many gyms can rent you a pair of gloves, and we're not hung up on hygiene or anything but come on; you surely want a pair of your own. For those looking to get fit, rather than become the next Mike Tyson, a full-size, traditional Western boxing glove is not necessarily what you're after. Something lighter and easier, like an MMA or Eastern martial arts glove, could well be a better bet. However, if you are intending to punch slabs of meat with full-force, in the style of the first Rocky movie training montage, you want the best boxing kit you can get because the alternative is palm pain, agonizing hand fracture, nerve damage, and bone deformity. For those who are new to the sport, there are three common types of gloves – training gloves, sparring gloves, and competition/professional gloves. Training gloves are designed for hitting bags rather than people and there are two types of training gloves. The first one is lower in weight – good if you want to feel the punch and learn the technique – but not so good when it comes to absorbing impact. The second one is, heavier gloves, which boxers use to build their stamina and endurance. The typical training glove weighs 340g. Then there are the sparring gloves which are used with your training partner in the gym. When you’re training against your partner, typically 450g gloves are used, as they build stamina and protect you and your opponent from getting injured before the big fight. In the ring, an amateur lightweight competitor could wear 285g gloves, while pro heavyweight boxers need 340g gloves with more padding. But no matter which level you are at, your gloves will need to be decent quality if you want them to last. Everlast Boxing Gloves considered number 1 in the world, and many professionals use the same. Discover the best boxing gloves online right now by having a read of our guide below. In a perfect world, in your boxing kit, you would have separate gloves, one for sparring, and another one for bag work. Your sparring gloves need to have softer outer foam to provide protection to the sparring partner and you bag gloves need to have higher density outer foam to make the glove more durable. Handmade foam gloves have a different quality of foam in the gloves and the cost may vary, depending on which type of foam is used. Basic layered foam mold is a standard for most gloves made in the world. The outer foam is a latex rubber foam. The colored foam is compressed foam, something similar to the underlay. The black foam is sponge foam for initial hand comfort and underneath the black foam, there is slightly higher quality foam, which is placed there to stop the fist contact with the compressed foam which tends to break down if it is not protected. This type of foams has two main features, cost and weight, the multicolored compressed foams are one of the cheapest foams available and they are heavy which makes it easy to make a 340g glove without being too big. The latex foam is cheaper foam; it's also heavier than synthetic foams, what makes it better. This sort of foam mold is mostly used for the training glove rather than a sparring glove as the outer foam is very thin and quite firm. There are better quality molds available on the markets which are much more durable and comfortable. High quality layered foam glove molds have four layers with higher quality handmade mold, the fourth layer is between the central and the inner layer. The outer layer is a synthetic sponge foam. The central layer is a medium density EVA foam which is very durable and almost never breaks down. The inner foam is high-density synthetic foam which offers maximum comfort. Under the inner foam is a 10mm extra foam sheet for extra protection for the knuckles. The most important layer is the EVA foam in the center, which is a much denser and durable than the other layers. It cannot be used as the outer layer as it is too dense to use a contact surface for the face. Whether you’ve been training for a while, or you are just now starting, you must have noticed that not all boxing gloves are the same. There’s actually more variations than you may expect, and each style of boxing gloves has its own advantages and disadvantages. Here’s a quick run-down of boxing gloves you may come across. You’ll often find brands advertising boxing gloves online as training gloves or bag gloves. These are basically your typical all-around boxing gloves. Sometimes they’re built for bag and pad work, however, they are usually pretty versatile and useful in any type of training. For most of the time, you will probably use a pair of these. Not all general purpose gloves are labeled as training gloves they are often just referred to as boxing gloves. In sparring, the aim of boxing gloves is to protect both you and your sparring partner, not to knock them out. You could use any pair of boxing gloves for sparring (assuming they’re an acceptable weight), however many brands sell specific sparring gloves which are optimized for this kind of activity. Sparring gloves are pretty similar to training gloves; however, the padding is usually slightly softer or more cushioned with better-optimized distribution in order, to make impacts less sharp. Sparring gloves are often sold in a variety of weights; however, you should only really be using these at 400g or above, depending on your bodyweight. It is always the coach’s decision, to wear or not to wear, a pair of gloves during sparring. Your coach most likely has a lifetime of experience under his belt and without a doubt knows more than you do, so if he believes your gloves are the wrong weight, unsafe or just generally unsuitable, then take his word for it. It is always best to check what weight of glove your gym suggest you should be wearing to spar and to make sure you buy your boxing equipment from a reputable brand. It all comes down to common sense; if you’re a bigger guy trying to get away with using some worn-out, second-hand 400g gloves from a dodgy looking brand nobody’s ever heard of, then you should know better. You should only really be worried about professional gloves if you’re planning to compete. As the name suggests, these are boxing gloves which are specifically built for use in professional competition, and often sacrifice hand protection and sometimes comfort in order to maximize offense. Usually, the padding is much firmer making the gloves smaller and more compact. In a way, these gloves are designed to deliver a sharp blow with each punch. Professional boxing gloves aren’t really suited to everyday training and shouldn’t be used much outside competition. For most competitions, you’ll be using 225g or 285g gloves depending on the weight. Don’t be fooled by the ‘pro-style’ boxing gloves sold cheaply in your local sports store, those are just brands using the term as an advertising gimmick and they are often just basic training gloves. True professional boxing gloves aren’t cheap in the slightest, and many boxers pay very much for a good pair. Traditional bag gloves are the smaller alternative to boxing gloves with minimum protection. They lack many of the protective features of full boxing gloves. Often gyms won’t let you train with these. They’re still sold by many retailers, and often come bundled up in free with punching bags. The shape is often just generic and the padding is minimal, with little or sometimes no wrist support. MMA gloves are developed specifically for Mixed Martial Arts. They are not technically boxing gloves, they are used for a similar purpose. Unlike boxing gloves, they are fingerless, often with an open palm, to allow easier grappling. Semi contact gloves (for example Karate gloves or Taekwondo gloves) are another type of boxing gloves. These gloves are a midway point between boxing gloves and MMA gloves. The padding is minimal and usually made out of dipped foam. Because they are only used in semi-contact sports, they don’t need to provide as much protection as boxing gloves do. Get your premium martial arts equipment and boxing gloves at “SportsUncle”. Whether it's for the ring or just cardio training, we've got you covered. Most important; think about what you will be using them for; sparring, hitting the bag, hitting pads, or for competition. Most serious practitioners eventually have several pairs of gloves that they use for different sessions and workouts.